SM & Associates (JSM), a leading BHS Design and Operations/Maintenance firm for airports worldwide, is pleased to announce it has been contracted to perform full BHS operations and maintenance (O&M) at Denver International Airport. With this awarded contract, JSM continues its targeted mission to be the most trusted BHS design and BHS/PBB operations maintenance firm. As a designer, JSM understands the intricate details of the systems it helps design, maintain and optimize. JSM’s knowledge combined with its 30 years of aviation experience provides customers the reliability, safety and expertise they expect from their O&M Provider. JSM’s business philosophy is founded on building partnerships with airports to deliver reliability, experience and innovative practices that protect their valuable assets. Paramount to its success is JSM’s approach with its “Associates” as respected team members. Besting the other major O&M industry players, JSM was awarded on its qualifications, knowledge, scope comprehension and operational approach that included a competitive proposal process and presentations. “This is a tremendous win for JSM. Our team is ready to showcase our talent and commitment to City and County of Denver (CCD) and provide BHS support that exceed expectations and enable unimpeded operations,” said John Majewski, founder and president. Denver International Airport, the fifth busiest airport by total passenger boarding, operates around the clock 365 days a year with the capability to process flights, passengers and baggage at all times of the day and through all weather conditions. The Airport serves more than 61 million passengers annually, supported by more than 9 miles of baggage conveyor. With Denver as a major presence in the western US, JSM is following its business expansion philosophy of steady, measured growth that ensures each location is stable and efficient before moving to the next opportunity.  JSM is a premier provider of professional & technical services to the aviation industry, specializing in BHS design & consultancy as well as BHS, PBB and GSE operations and maintenance. Leveraging a long, successful history in the aviation community, our value comes from its experienced and highly-skilled employees as well as the management team’s more than 200 years of combined engagement in the design, manufacturing, engineering, installation, commissioning, operation and maintenance of BHS, PBB and GSE for airports around the world.